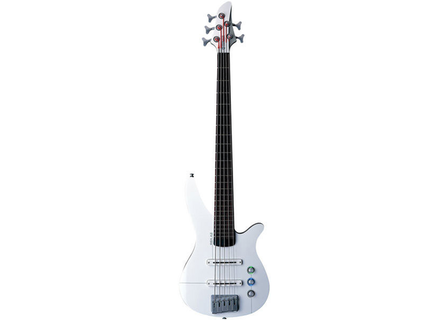 RBX5A2, 5+ string bass guitar from Yamaha in the RBX series. Yamaha Guitars is now shipping two new electric bass guitars that feature the company's proprietary A.I.R. (Alternative Internal Resonance) technology, which provides the sonic properties of a heavier, traditional-style instrument without the weight. 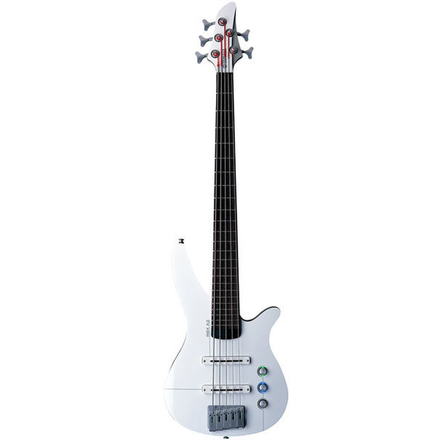 Previously featured on the RGX A2 electric guitar and RBX4 A2 four-string bass, Alternative Internal Resonance (A.I.R.) is an exclusive Yamaha construction technique that consists of a lightweight resonant wood core sandwiched between two harder tone woods. Sound tubes that pass from the bridge through the body structure transmit string vibrations and create a more resonant sustain. The RGX5 A2 retails for $939.99 and the RBX4 A2M retails for $859.99.